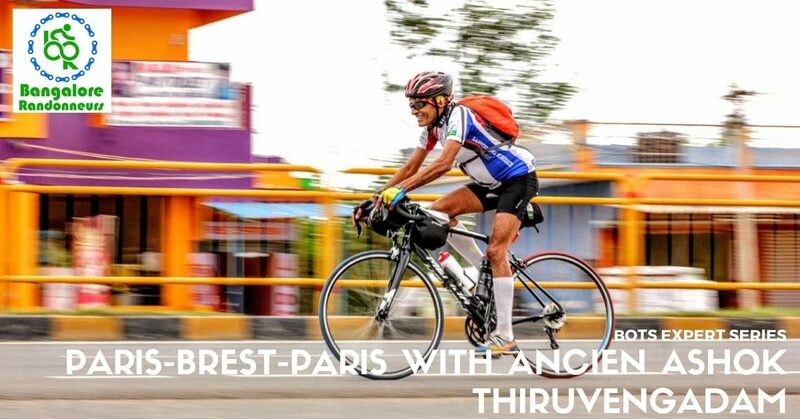 We have Ashok Thiruvengadam gracing the BOTS Expert Series at the bike shop this Sunday to share his journey of picking up a bike from us almost a decade back to how he rode one of the most celebrated long distance rides on the planet – The Paris-Brest-Paris. The BOTS Expert Series are sessions aimed to bring cyclists and experts together, in a inspiring setting, to impact cycling positively. 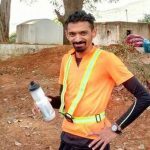 We will be running this Expert series along with the Bangalore Randonneurs who are doing an ace job with a fantastic brevet calendar for Bangalore city. 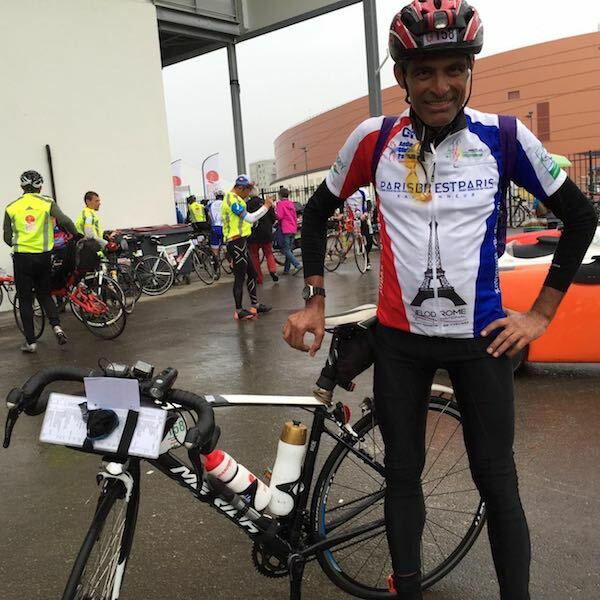 The Paris–Brest–Paris(PBP) is a long-distance cycling event. It was originally a 1,200 km bicycle race from Paris to Brest and back to Paris in 1891. Over time this has morphed into a brevet with an emphasis on self-sufficiency. Riders buy supplies anywhere along the course, but support by motorized vehicles is prohibited except at checkpoints. There is a 90-hour limit and the clock runs continuously. Many riders sleep as little as possible, sometimes catching a few minutes beside the road before continuing. This is a fantastic opportunity to meet the man himself and hear about everything that transpired leading up to the event, his training, nutrition, and strategy to tackle the terrible weather conditions. Also hear about how he managed to pull off training while maintaining tricky work/family/passion balance, his choice of equipment and apparel and all the intricate settings for the course. This is your evening to ask him questions you may have about his training. He will also be informing, advising, and inspiring you to ride and be a better endurance cyclist. It will be an informal event — no chamois expected, but stylish socks are always a plus! We plan to have an interactive conversation with our PBP Ancien. While I am a recent cycling convert, I am a die-hard one for life! I love the Specialized brand and have a beautiful Specialized tattoo on my left leg. I’ve completed some of the toughest and most scenic off-road trails in the country – Manali Leh and Spiti Valley – on my Specialized Rockhopper and also completed the Super Randonneur series as soon as I got my Specialized Tarmac. My focus is road riding and to ultimately qualify for the Race Across America. I am a Bike Specialist at BUMSONTHESADDLE – ensuring riders have access to correct product, assisting them with fit and sizing and leading road rides and spreading my passion for Road Biking.